A crisis in leadership had the Taliban demoralized and divided. The release of five of their top men from Guantanamo may have solved that problem. KARACHI, Pakistan — It’s party time for the Afghan Taliban. After the release of five senior figures from Guantanamo in exchange for wayward U.S. Army Sergeant Bowe Bergdahl, Afghan insurgent leader Mullah Omar sent an optimistic but cautious statement from the shadows where he’s hiding. The Taliban are now “closer to the harbor of victory,” he proclaimed in measured rhetoric. But his fighters on the front line plainly are ecstatic. The Obama administration arranged, as part of the prisoner swap, for the five released to remain in Qatar for at least a year, rather than being returned to Afghanistan. Khan says that’s not a problem for the Taliban, who have an informal diplomatic mission in Doha, Qatar, where the deal for the prisoner release was arranged. An Afghan Taliban commander in Kandahar, Mullah Yasan Akhond, says that Fazil and fellow detainee Mullah Norullah Noori, the former Taliban governor of Balkh province, were top military man who had thousands of Taliban under their command. He expects they will take on significant responsibility in the future planning of the Taliban jihad, even from Qatar. “Regardless of where they are, the liberation of Mullah Fazil and Mullah Norullah will give new spine to the Taliban so they can make war more aggressively,” says Akhond. 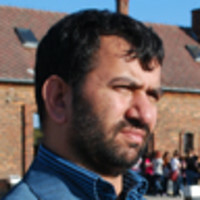 The New York Times has identified Taliban founding member Khirullah Said Wali Kharikhwa as “the most important figure” among those released, and adds hopefully that he is seen by some in the Karzai government in Kabul as a “possible interlocutor for future talks.” But another Taliban official interviewed by The Daily Beast says that of the five released, only Norullah and Fazil have real power and influence. A major split emerged in recent months between Mullah Abdul Qayam Zakir, the reputed Taliban number two, and the collective leadership. “Mullah Zakir was under Mullah Fazil [in the past] and with the return of Fazil his issues are almost resolved,” says Mullah Salem Khan. American and other Western officials see some benefit in the process that led to the exchange, since the negotiations pulled together some disparate factions among the forces fighting the Kabul government and may eventually open the way for further peace talks. According to the same ex-minister, the Haqqani Network, which operates separately but answers to Mullah Omar, was holding Bergdahl. The Americans tried reaching out to it directly through some tribesman, but were referred back to the overall shura leadership in Quetta, Pakistan, and the envoys in Doha, Qatar. Efforts by Washington to foster relatively wide-ranging discussions with the Taliban delegates in Qatar fell apart last year, but the Bergdahl negotiations continued. According to Taliban sources, the recent negotiations hinged on the question of how long the five released prisoners would have to stay in Qatar. Originally the Americans demanded they remain there forever. That time frame was whittled down to one year. The chief of the Taliban negotiating team in Doha, Mullah Naik Muhammad, told the Taliban website nuns.asia that Qatar can play a positive role in the Afghan conflict: “We don’t have any areas of truce between the Taliban and the United States, but an area in the Ali Sher district of Khost province was declared a safe area for a day so the U.S. helicopter could land and pick up the U.S. soldier from the house of a local tribal elder,” Naik Muhammad told nuns.asia. While it is true that Afghan President Hamid Karzai has freed Taliban prisoners in the past, none have been as senior as these. “If we released all the rest of the Taliban who are in Afghan jails it would not have as much weight for the Taliban as these five who were released by the United Staes,” said the colonel.